Give your kitchen a touch of practicality with this modern 80cm Alpine Base Pot Drawer. 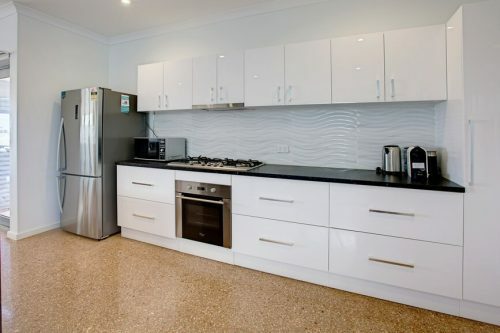 A handy storage solution, this base cabinet features two drawers and is large enough to store all your pots and pans. 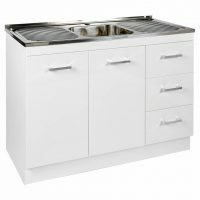 With stylish looks in a high gloss white finish and elegant chrome handles, this base cabinet is designed to suit any kitchen. Coming preassembled, you can simply purchase and install with ease. This base cabinet is as functional as it is attractive. 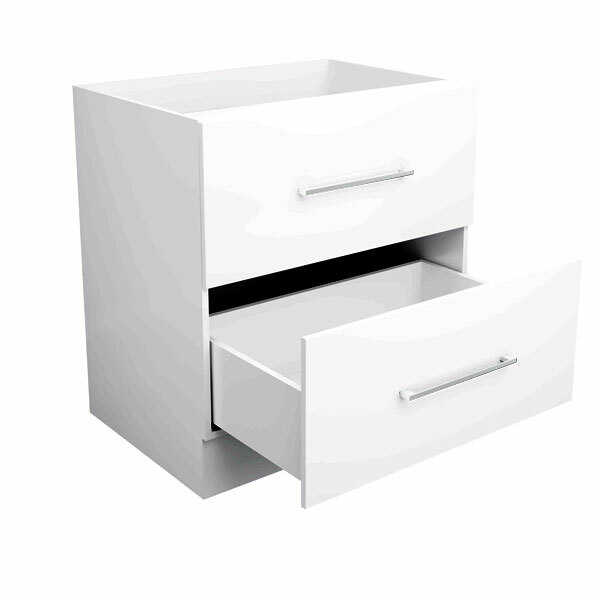 The drawers feature a soft closing mechanism to allow smooth and gentle operation. A durable 2 pack painted finish makes its surface scratch resistant and incredibly easy to clean. 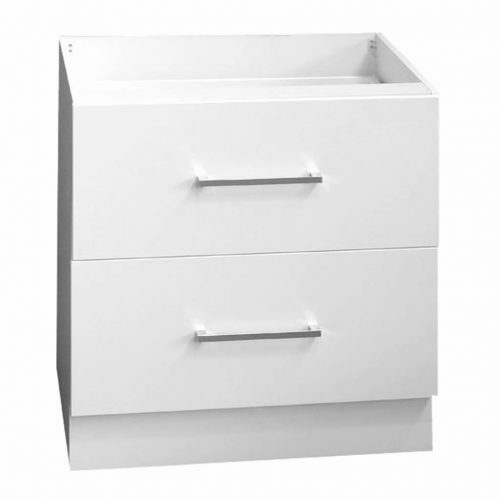 This Alpine Base Pot Drawer is manufactured to the finest of standards using quality HMR board and is extremely moisture resistant. 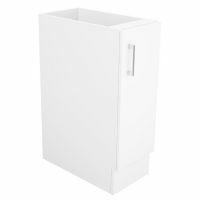 Thanks to the robust frame construction, this base cabinet will easily withstand many years of heavy usage. This base cabinet exhibits high quality and is backed by a 5 year guarantee on all materials and workmanship. 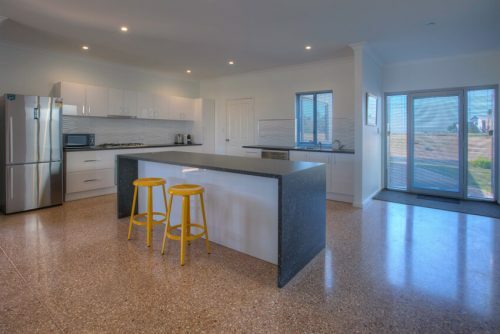 Rest assured you will be making a worthy purchase that will offer you many years of service. 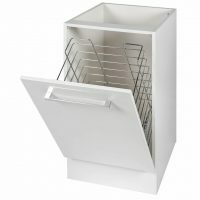 Buy this 80cm Alpine Base Pot Drawer for your kitchen at an unbelievable price from Ross’s Discount Home Centre.